Duplicate Files Fixer is a tool which scans your computer for duplicate files including audio, video, texts or photos. This tool can search and delete identical copies of files quickly and easily. In this way, it can easily recover ample storage space within seconds. The tool scans duplicate file contents irrespective of files' name and their formats. 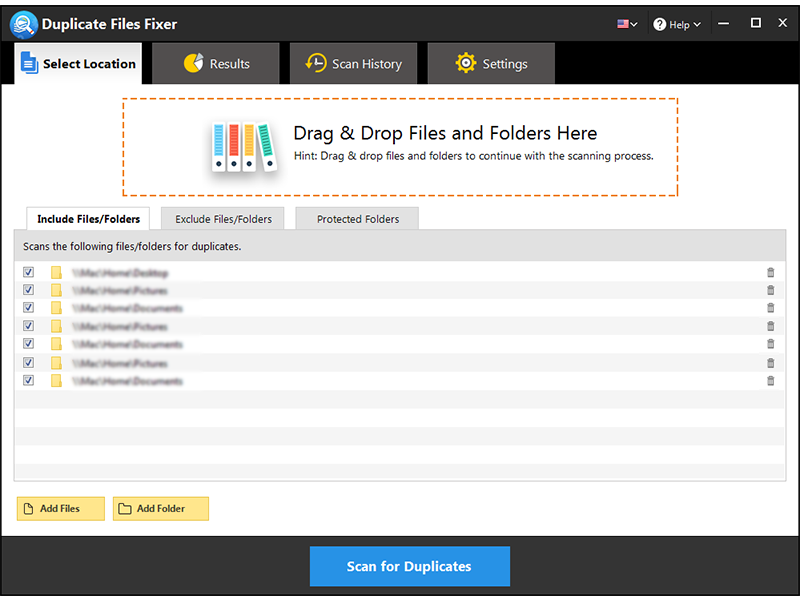 Features of Duplicate File Fixer: It lets you select files including videos, photos, audios and texts which you want to scan for duplicates. The tool is user-friendly and is easy to use. Preview a list of all the scanned duplicate files before deleting them. Duplicate Files Fixer comes with Auto Mark and Delete feature. Select Auto Mark option and it will select the files that need to be deleted on its own. However, it enables you to delete files independently as well. With all the duplicate files deleted, a plenty of storage space on your hard disk is recovered. The tool also supports external storage. This means it scans an external device such as external disks, USB devices for duplicates. Upon selecting the location to perform a scan, the tool scans the location for duplicates with one click scanning feature. It lets you exclude the folder that you don't want to include in the scan, this makes the scan fast. Duplicate Files Fixer comes up with speedy still accurate results regardless of hard disk size. No need to worry about recovering deleted files, Duplicate Files Fixer backups all the files before deleting them. Setting the scanning criteria is another one of the features to get more comprehensive scan results. Have a look at the scan history and adjust the settings to get the maximum output. To read more about the product visit: https://blogs.systweak. Intel Pentium or compatible system recommended with 512 MB RAM.